Newcomers are provided with formal needs assessment & referrals by experienced Settlement Counselors, following a systems approach in assessing multiple & intersecting needs. 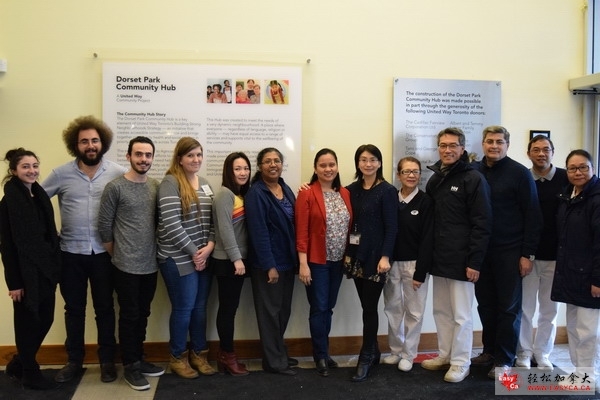 We connect newcomers to community resources and local supports either internally to ACSA’s programs & services, through the Dorset Park Community Hub’s complementary services onsite services or externally, to other IRCC-funded agencies & local resources. Clients are welcomed back to access further services as new emerging needs & trends arise. Newcomers access coherent and complementary information related to life in Canada. 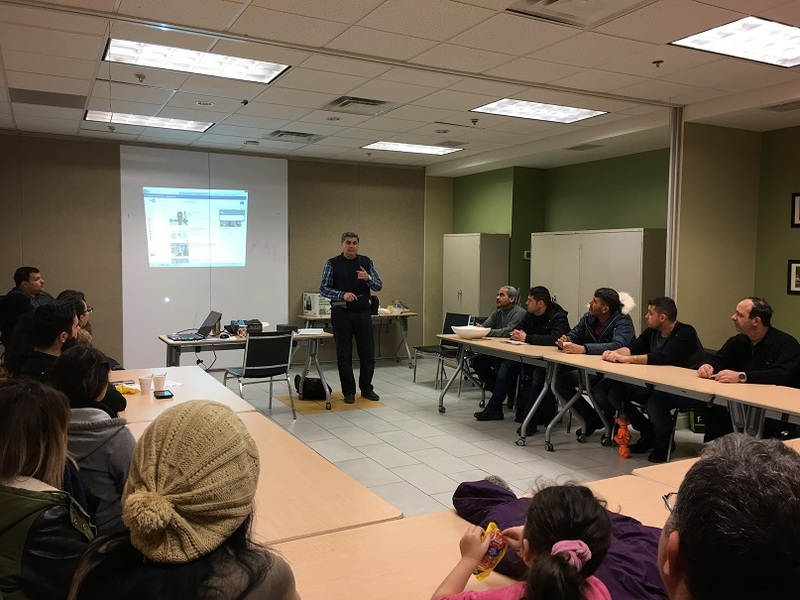 Individual, family, & group orientation sessions are conducted at various locations such as public libraries, Dorset Park Community Hub, & other service providers’ locations. Topics include (but not limited to) financial literacy, immigration updates/rules, upgrading skills in Canada, foreign credentials assessment, bridging programs, children and family related topics, etc. 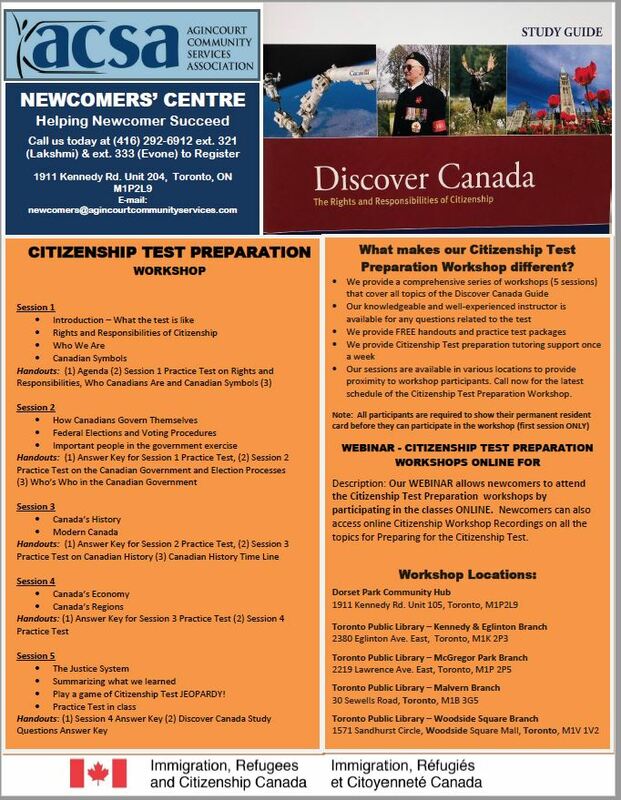 To register to our Newcomer Orientation sessions, please call (416) 292-6912 ext. 3. ACSA Newcomers' Centre currently provides Webinar Recordings on Citizenship Preparation available for all eligible clients to access anywhere anytime that's suitable to them. Participants are provided with handouts & practice tests. 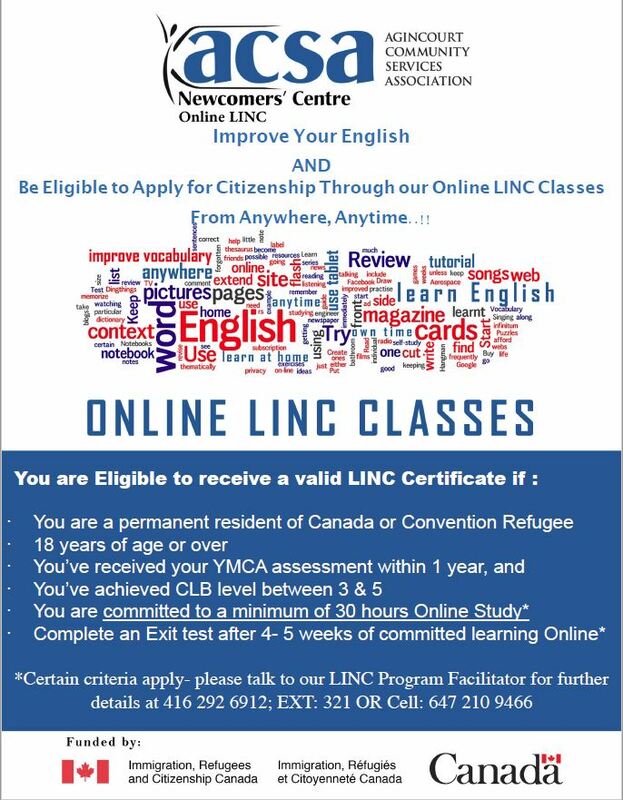 The Online Language Training Program is a FREE online language support to increase the language skills of newcomers & help them in their daily social interactions & acquisition of Canadian citizenship. It’s also intended to improve the newcomers’ knowledge of Canada, Canadian civics, Canadian workplace & Canadian citizenship. This program assists clients to become proficient in their Speaking, Listening, Reading, & Writing skills in English. 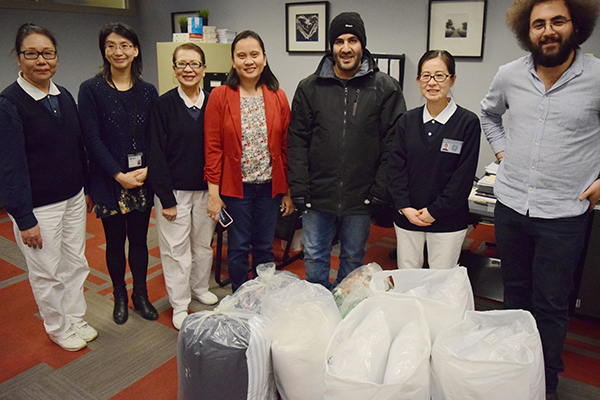 This program eliminates childcare costs, transportation & classroom rentals while helping newcomers save time, energy, & money by attending classes in the comfort of their homes. Clients with CLB level 3-5 will participate in weekly webinars where lessons are taught & interaction is encouraged. Clients have weekly one-on-one tutorial session with a qualified Teacher. Lessons are diverse, practical & useful to the daily interactions of the newcomers & getting to know Canada as their new home. This program is packed with viable, employment-ready skills training that includes Food Service, Cashier Training, Customer Service and other trainings to help newcomers get entry level jobs. 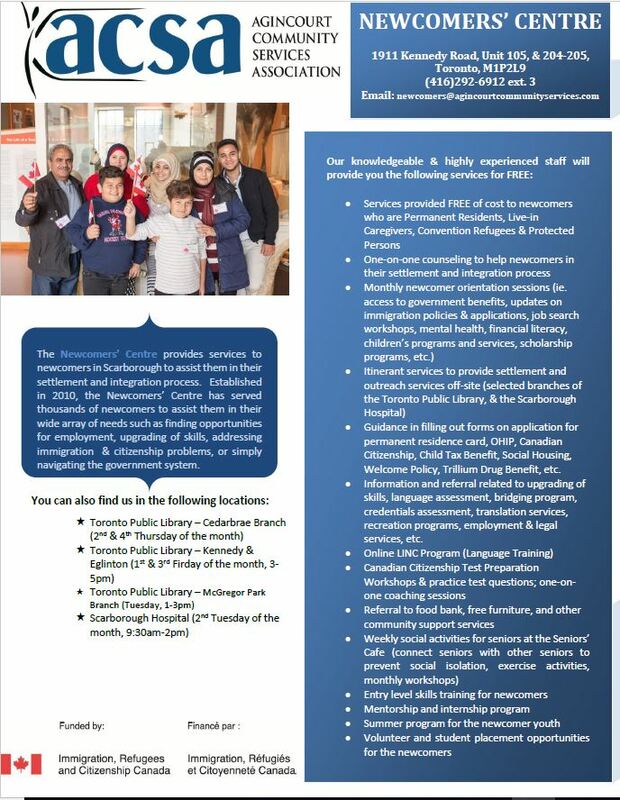 Specifically, ACSA is able to support the training needs of Syrian refugees under the Syrian Newcomer Project funding. Translation support is also provided for those who aim to get into continuing education. Translation is limited to diploma and transcript of records only. Mentorship is a vital component of this project. We do this on a smaller and more defined scale using our existing systems, facilities and practitioners. Mentorship promotes knowledge sharing and help newcomers understand Canadian workplace culture, gain soft skills, increase self confidence and acquire Canadian experience through internship and volunteerism. 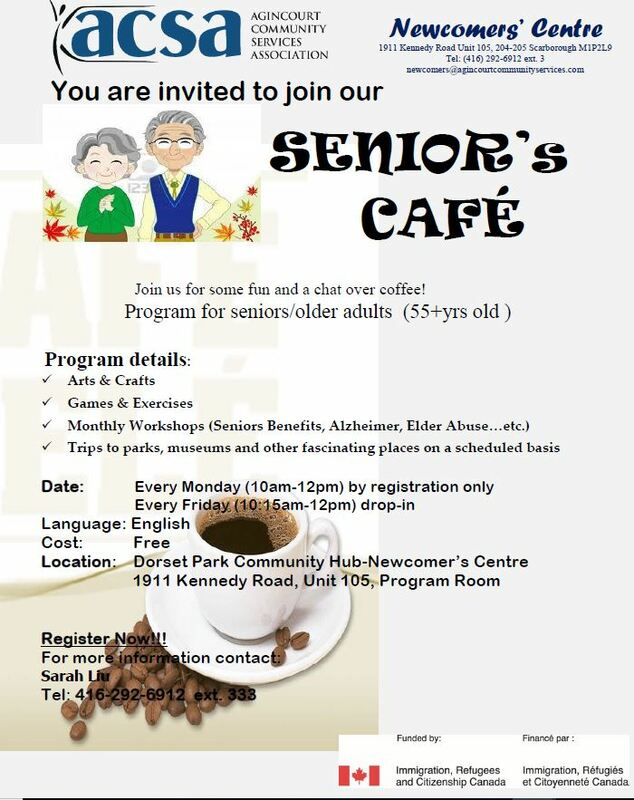 We support the Seniors’ Café hosted at the Dorset Park Community Hub on a weekly basis (Fridays, 10am-12pm) to promote newcomer seniors’ general well-being, broaden social networks, promote good health, eliminate social isolation, & increase accessibility to public institutions, employers & cross-cultural recreational activities. 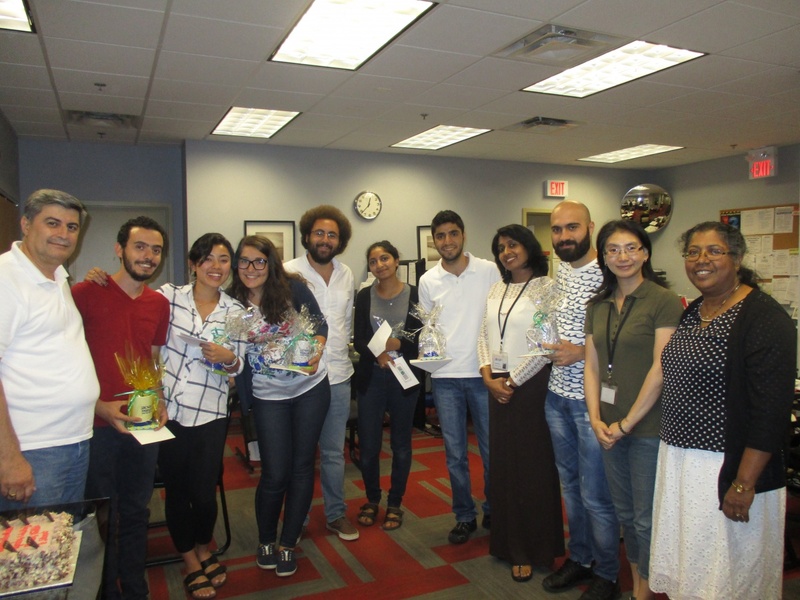 This group promotes diversity and interaction in a multi-cultural setting. To register please call (416) 292-6912 ext. 3. 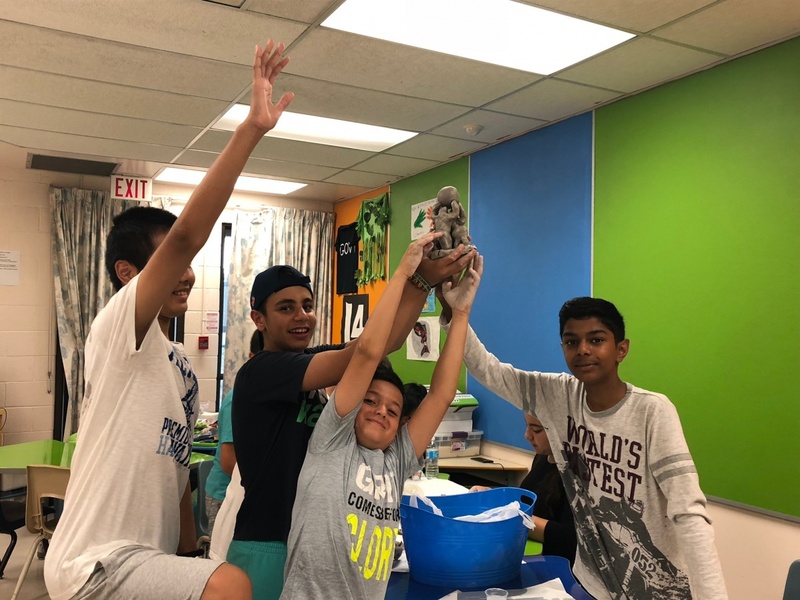 The Summer Youth Program is a 5-week program that focuses on newcomer youth, 12-16 years old, promoting leadership, health and wellness practices and financial literacy. Sports and physical activities are integrated in the daily program. Educational and recreational field trips are hosted at the end of every program week. 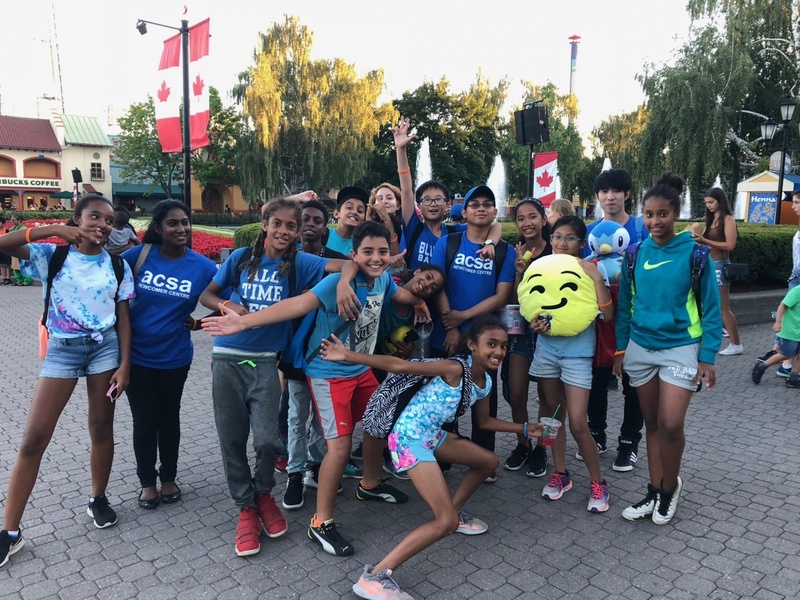 We had a fantastic summer in 2018 with our newcomer youth! See you in the summer of 2019! 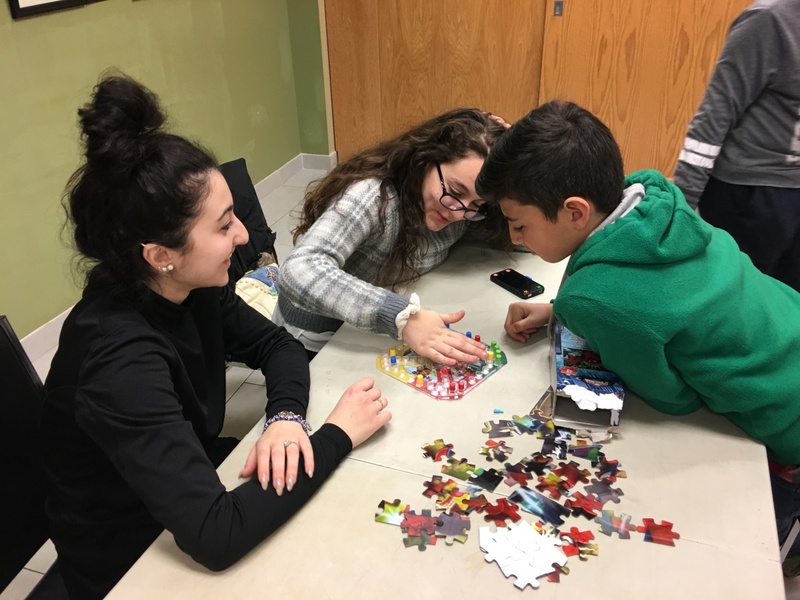 Photos of Summer Youth Program 2018! 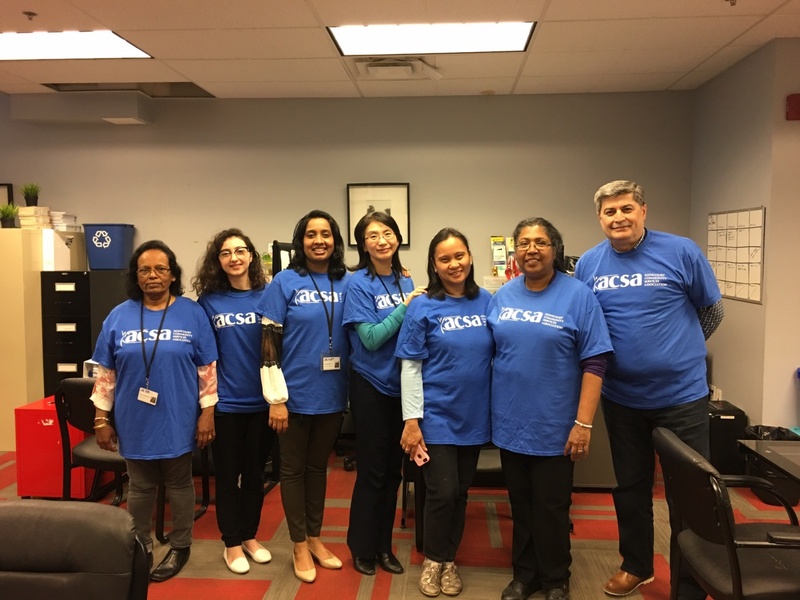 Our Capacity Building- Health & Wellness program follows a curriculum developed by ACSA-Newcomers’ Centre called Project HEAL (Healthy Eating Active Living) was completed in March 2017. We delivered 10 series of workshops with 6 sessions each series. 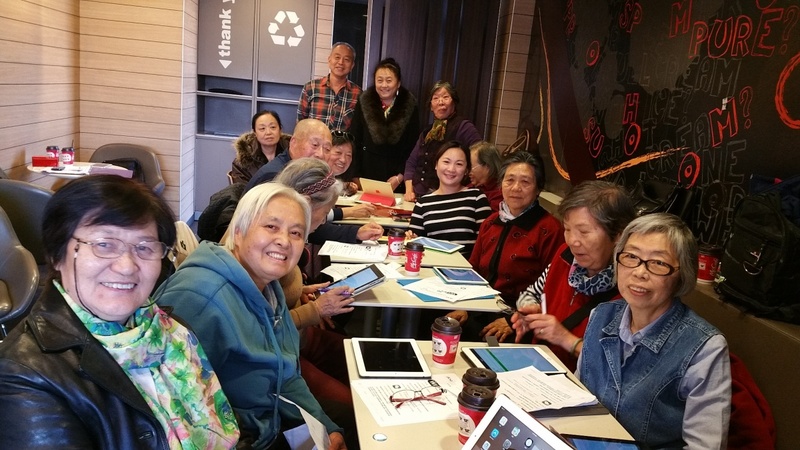 The Progran was most welcomed by the newcomer community in all cultures for its focus on mental and physical well-being of newcomers who typically experience stress, depression, & illnesses due to pre-migration & current life experiences. Yoga and meditation exercises were built- in into every session. Referrals to community health services were provided. The Newcomers’ Centre trained newcomer community leaders and professionals to become Peer Leaders of the Project HEAL. After a 2-day intensive training on facilitation, nutrition, healthy practices, peer leaders were invited to get involved in our Project HEAL sessions as Co-Facilitators. Peer leaders are equipped with another language which is an advantage to reach out to other ethnic groups to deliver the program. Many success stories have evolved from this project which was completed in April 2017! !